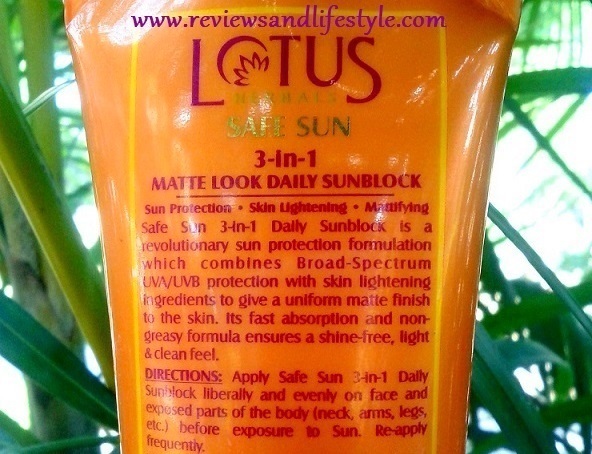 This is a review of Lotus Herbals Safe Sun 3-in-1 Matt Look Daily Sunblock. It claims to have SPF 40 (SPF = Sun Protection Factor), blocks UVB rays and provides a high protection like PA+++ from Sun's UVA rays. The 3-in-1 claim is for 1. Sun Protection 2. Skin Lightening 3. Mattifying effect meaning no greasy, oily or heavy feeling like other sunscreens. It comes in an easy to carry, leak proof tube with flip open cap. Availability: You can buy it from Flipkart.com, Amazon.in, etc. It is easily available in cosmetic shops too. There is also a 20 gm pack available at Amazon india for 3 tubes (check here) though I feel the 100gms packing is most economical. The name Lotus Herbals has become synonymous with sunblocks and sunscreens even though they make other products too. My first sunscreen was also from Lotus Herbals back in 2005 and in 2011 summers, I was re-introduced to this brand by one of my ex Google colleagues. 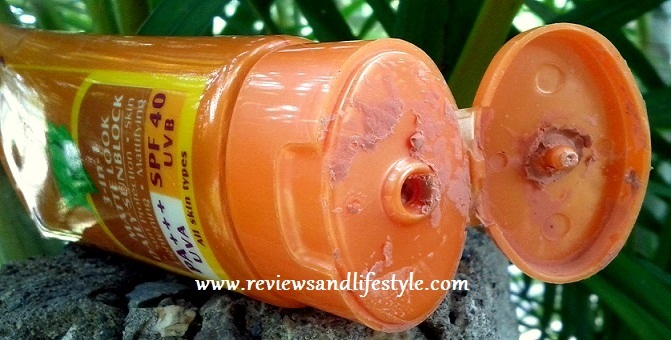 I am using this sunblock from last 3 years, mainly in the Summers and am about to finish my 2nd tube. I have tried it in winters too. Kaolin Clay heals skin and improves blood circulation in the area it is applied. Preservatives: Phenoxyethanol, Methyl Paraben, Propyl Paraben, Methylchloroisothiazolinone, Methylisothiazolinone. 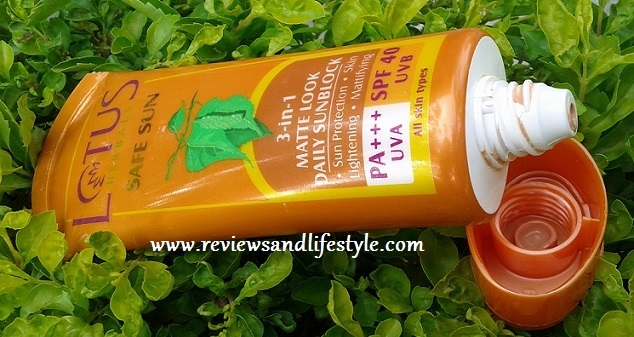 Lotus Herbals 3-in-1 Matte look Daily Sunblock is a tinted foundation-like liquid. It is slightly runny. It looks orange but don't be scared. The orange color comes from the Kaolin Clay which also provides the mattifying effect on the skin. This sunblock just blends and matches the color of your skin, without looking artificial or orange. It gives a glowing beautiful non-greasy matte finish. The quantity in the swatch is actually too much. You just need a 2-3 drops to cover the face. I have dry skin which goes normal in Summers and my T-Zone is oily. I was afraid that being a 'matte' finish product, this sunblock may look patchy on my dry skin like most other products, but it surprised me pleasantly. When I first used it, I felt a lot of tingling and slight burning kind of sensation on my cheeks (I have sensitive skin). That really worried me. But after 3-4 uses the tingling and burning sensation was gone. I think I felt that because my skin was not healthy at that time and Kaolin Clay was working on it to heal it. You need to shake the tube before every use to mix the clay with the liquid part. In Summers or really humid weather, it takes a minute to absorb and you need to wait for it to dry and set. To get an even finish in really humid weather, I prefer to gently pat it on the skin instead of rubbing it like a cream. In winters, it is not moisturizing enough (for dry-skinned people) when used alone but works well if you apply over moisturized face. It feels very cool on the skin and offers superb moisturization as well as protection from the Sun. I never had tanning and or any sun burn while wearing this sunblock. I trust it a lot. Usually I reapply it every 2-3 hours when out in dire Sun. You can learn more about SPF and PA+++ HERE and HERE. The SPF factor is quite good. Not only does it protect me from tanning, it also clears up all my tan wherever I apply it and makes skin clearer and brighter. I have even tried it on stubborn tanning on my feet and it showed results in just one application. 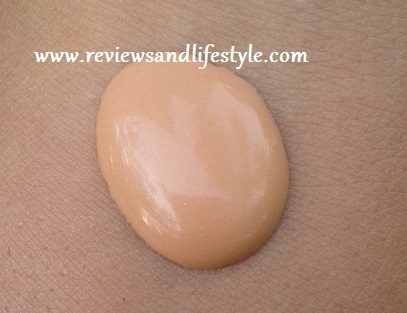 Superfine Kaolin Clay and Talcum give foundation-like finish to this Sunblock. The clay and talcum absorb excessive oil from the skin and the sunblock sets on the face in a non-greasy matte finish, which looks nice even on dry skin. It does not look patchy and I don't feel the need to apply any makeup with this on. The matte effect does melt with sweat, but instead of wiping, just let it air dry and apply a fresh layer of sunblock over it. It will again start looking fresh as before. There has rarely been any staining on my clothes neck line and the stain washes away easily with water. I simply wash my hands to remove the orange tint after applying and it leaves my hands soft. I can resume my work immediately without worrying about greasiness or staining. I need not remove it at night as the Kaolin Clay treats any skin inflammation, dries acne as well as increases blood circulation. It may look orangish on very very fair skin tone. Like most chemicals based Sunscreen lotions/sunblocks out in the market, this one also contains harmful chemicals which may have certain serious effects on our body. These sun protection ingredients react with sunrays and transform or break into other chemicals + free radicals. 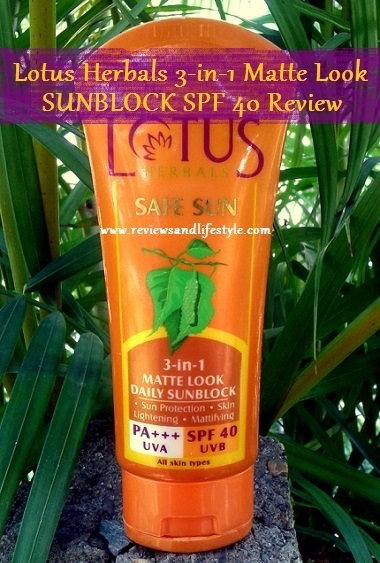 Lotus Herbals Safe Sun 3-in-1 Matte Look Daily Sunblock is a staple product in my Summer skin care routine. I sometimes apply it even when I am inside the house as UVA rays are present even inside. In case when I forget to apply sunblock and get sun burns, it helps heal my skin quickly. It always soothes my skin and dries up any summer breakouts. 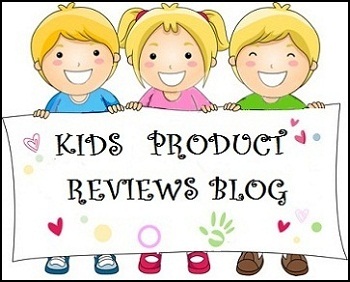 It is one great product that I have repurchased and may again repurchase in the near future. I just love it and always carry it with me when I go out in the sun. It is true to all its claims. Being a chemicals based formula, I mainly use it when I go out. My first tube was from medplusbeauty.com, but they dilute liquid products and cheat. You can buy it HERE. Which is your favorite sunscreen or sunblock? Please share in the comments below. I use this too and I like it. I have a few issues though. 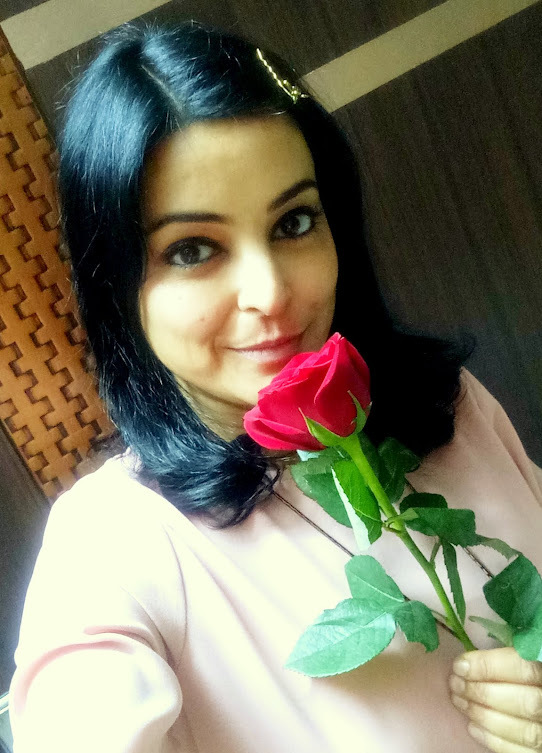 One is that its not moisturizing enough even in summers for a normal skin like mine. Secondly, I am a little concerned about talcum being the second ingredient, won't it be clogging our pores or something? I am sorry I missed answering the comments on this article. Hope you read this. It has never clogged my pores but yes, I do make sure to remove it at night, else there is a slight foundation like residue on the skin. Initially even I used to find it drying, but I gave it enough time for my skin to adjust to it and I started liking it soon. I have an oily t-zone and dry to normal remaining facial skin. The only time I find it less moisturizing is in winters. I love its cooling effect in summers. Regarding Talcum being listed second in the order, well, I understand that as a rule, ingredients should be listed in the order from highest quantity ingredient towards the lowest. But seeing the way certain brands list it, I don't think that rule is followed in India. So I am not sure if Talcum is 2nd most dominant ingredient in this formulation. I use natural oils as sunscreens. They have amazing SPFs. Or u should try organic chemical free sunscreens which are available in the market. Dear Soumya, thanks for such valuable feedback and I see I totally missed the comments on this article. Hope you read this. I agree that most of the ingredients used in chemicals based sunscreens cause some or other damage to the skin and have serious side effects. I use this product only when I go out in the SUn for very long hours and not otherwise. I did start using Hazelnut oil as a natural sunscreen and even did an article on that. But oils are not practical to be used as sunscreens in summers because of the sweating and break outs. I did try a few other sunscreens that claim to be organic but they have titanium dioxide, which again causes ageing of skin. Yes Nehal, it does give very good protection and even removes tanning to a great extent. Have tried it on my feet and it did help. I too use it on arms and feet and even though it is tinted, it never stained my clothes. Thanks for your feedback. Is there any side effects using this product? Dear Nirupama, all sunscreens would have some or the other ingredient with side effects. Like the organic ones use Titanium dioxide but if you research, you will find even that it harmful and causes skin ageing. Personally, I did not face any negative side effects from this product and if you use mainly when you go out in the Sun and not all the time, it won't harm. It is definitely worth trying in the summers. I used it on my extremely tanned feet and it removed the tan to a good extent in just 2 uses. Initially it feels a bit drying but within a few uses your skin will adjust to it. My only advice would be ...just don't use it continuously for a very long period, tube after tube and make sure to wash your face or clean with a toner before going to bed and you will be fine. If you are in a cold region, you can try Biotique bio pro carrot protective lotion spf 40. I have it and it used t make me sweat crazy in summers. Haven't gone out in the sun wearing it in winters yet. This product contains methyl and propyl paraben. Then is there any side-effects with them?